In 1958, a landscaping company with half a dozen employees and a couple trucks began servicing homes in the Highland Park and Highwood neighborhoods in the Chicago suburbs. Led by Vito Mariani Sr., the company quickly earned a reputation for its impeccable service and attention to detail—and the referrals never stopped coming. Now almost 60 years later, the company continues to thrive. During the season, Mariani Landscape has 400 associates and in excess of 125 trucks. The regular client base includes 1,200 regular maintenance clients, as well as numerous special design and construction projects under way at any given time. “There’s a lot going on here,” says Frank Mariani Jr., the division manager for the Southwest and Western suburbs division and grandson of the company’s founder. 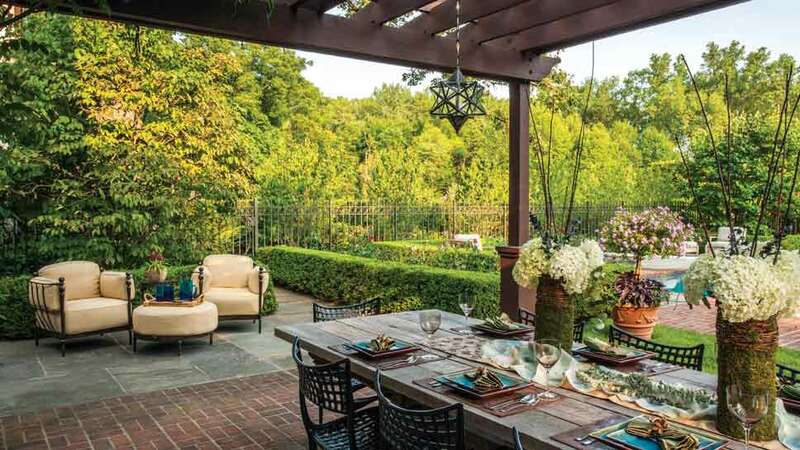 “You have a big push now for an extended reach of living space outside the home.” The company designs and installs outdoor rooms with eating areas, comfortable seating, fireplaces, fire pits, outdoor kitchens, pergolas and more. Mariani Landscape can be the single contact for a homeowner, overseeing subcontractors for design and installation of all these components. The company prides itself on the quality of its plants, trees, shrubs and more. In fact, Mariani runs a separate nursery division where it grows its own products, giving the company control of the look, health, and timing of the plants. In an industry that’s always changing due to weather patterns, the economy, homeowner likes and dislikes, and overall trends, it can be difficult for a company to last a single generation. But Mariani Landscape is now a third-generation, family-owned company that started small, and because of its impeccable service, has grown to be the highly respected company it is today. To learn more about Mariani Landscape, call 630-771-0074, or visit marianilandscape.com.